Okanda Ogbonda believes in the important role children play in helping to solve society's issues. As the UK hosts the 2018 Commonwealth Heads of Government Meeting, we highlight our many connections to the 53 member states of the Commonwealth. 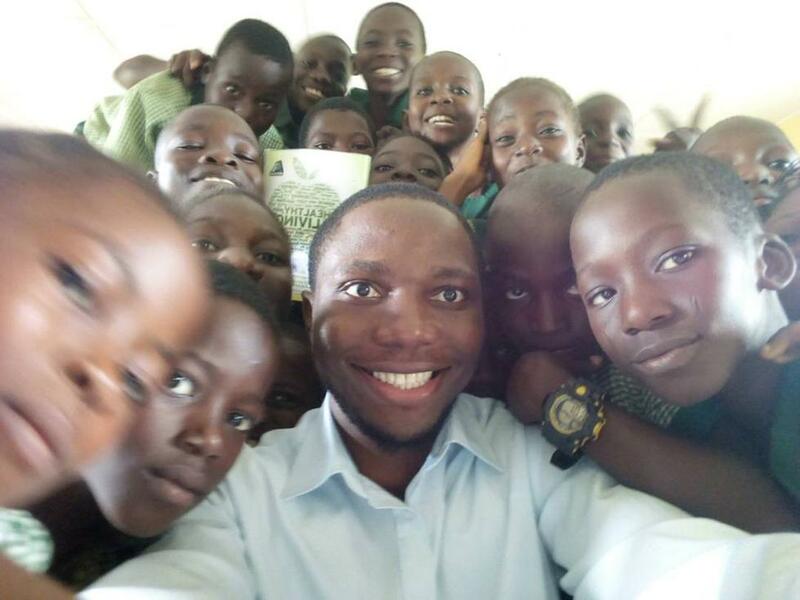 In Nigeria, Biomedical Sciences graduate Okanda Ogbonda is making a difference to informing local schoolchildren about the world around them. Southampton graduate Okanda Ogbonda is on a mission to make a meaningful impact on society, particularly in his home country of Nigeria. 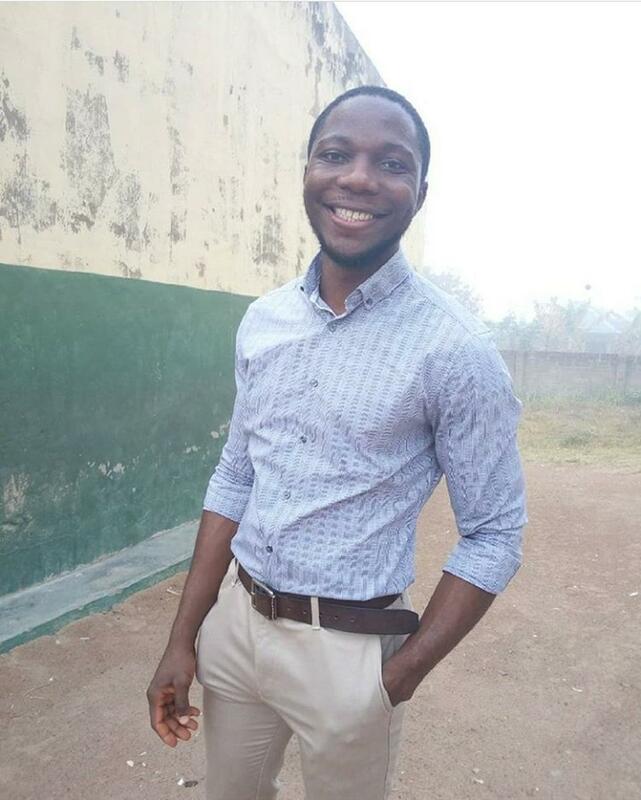 After completing his degree in Biomedical Sciences in 2014, Okanda had planned to stay in the UK to study Medicine in London but the transition in government in Nigeria at the time caused his scholarship to be cut short and he returned home. Undaunted by this challenge, Okanda move forward with great determination, driven by his love for medical science and his desire to raise public awareness of health topics with the hope that if only one person ultimately benefits, the effort will have been worthwhile. During his time as a student in Southampton, Okanda began to explore and develop the transferrable skills that now serve him well during a Fellowship with Teach for Nigeria. 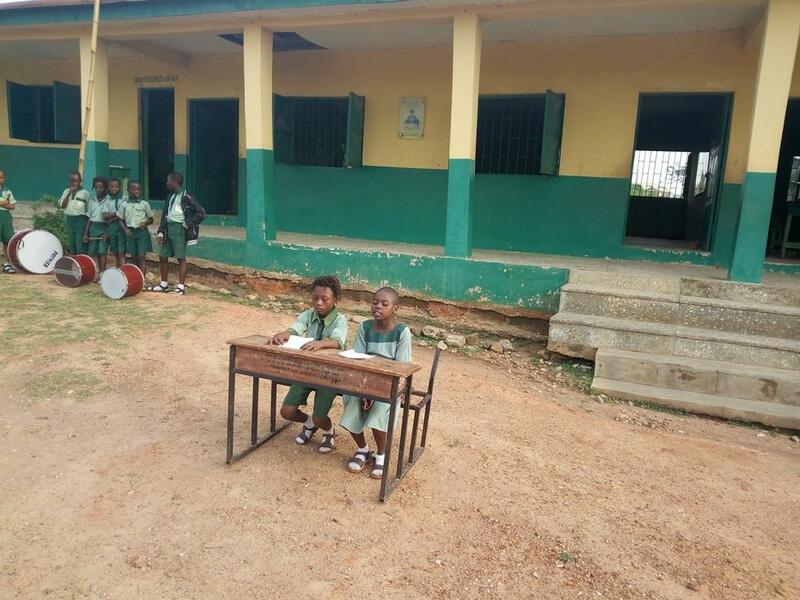 The organisation recruits and selects Nigeria's most promising future leaders from varied disciplines to teach in the country's underserved schools in low-income communities. Now seven months into his Fellowship, Okanda recently introduced a new activity - the ‘Press Club’ - to the school where he works as a way informing the pupils about the world’s events and engaging the teachers in discussing those events directly in school. 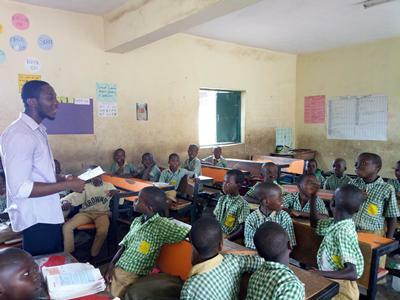 “One of the challenges I’ve observed during my time at St Joseph Primary School is that pupils are not abreast with global happenings, or even local news stories; so for example, over a hundred school girls were kidnapped by Boko Haram in February and no one in my class knew about it,” he explained. “I believe children have a very important role to play in bringing solutions to the issues their society faces,” he continued, “but first they need to start engaging with these issues by seeing, thinking and talking about them. It was as a result of this line of reasoning that the press club was birthed. “Typically, two pupils out of the 15 in the press club would read out the News on the assembly ground every Monday, Wednesday and Friday,” he said. “After the assembly, every teacher is encouraged to have a 10 minutes reflection session with their pupils, discussing the content of the News. “For my class I lead the discussions asking questions like: "what do we think about issue X?" "why do we observe the prevalence of issue X?" "in what ways can we curb issue X?" It is only a new development, but I plan to get students to write essays on these news topics, and also team up and carry out practical activities. Okanda believes that many of the skills he is now using during his Fellowship were honed during his time as a student in Southampton. At University, Okanda also volunteered weekly at Southampton General Hospital as a way of both giving back and gaining insight into healthcare in the UK. He also spent a summer studentship with Alzheimer's Research UK to work with an international research team studying how Alzheimer's disease was linked to hypertension. “I totally enjoyed my three years in Southampton. I'm not sure which I enjoyed the most,” he enthused. “From being taught cutting edge science by word class lecturers at the forefront of their research, to the numerous opportunities that were available for me to explore and develop transferrable skills, to meeting amazing people, to the sheer beauty of the city - its diversity, greenery and tranquillity; I'm not sure which to pick from. “A lasting impression from Southampton are the rich friendships and support networks an amazing university experience can facilitate, in addition to the realisation that science indeed has no borders,” he concluded. Click here to follow Okanda’s blog. Okanda is currently enjoying a Fellowship with Teach for Nigeria at the St Joseph Primary School. Okanda Ogbondo graduated from the University of Southampton with a degree in Biomedical Sciences in 2014. Okanda created the 'Press Club' at St Joseph Primary School in Nigeria to engage his pupils in current news and affairs.